The pioneers that brought you the award-winning PlayStation Network title "flOw" are back with another concept that challenges traditional gaming conventions. Flower expands the team's tradition of delivering simple gameplay, accessible controls and a medium to explore emotional chords uncommon in video games. In Flower, the surrounding environment, most often pushed to the background in games, is pulled to the forefront and becomes the primary "character." 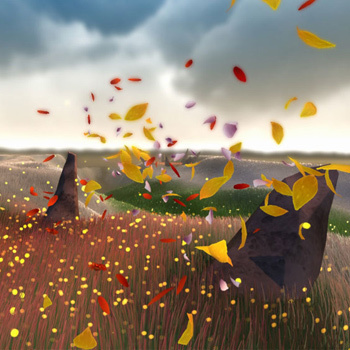 The player fades from an external and stressful world in the opening of this fresh and genuine game only for PS3, and journeys through beautifully vivid landscapes, changing the his surroundings and exploring nature along the way.